Purdue Polytechnic Institute and the College of Engineering faculty are working to develop a multi-functional printer that could eventually let people print out “smart” objects, including entire cellphones. Voyles, head of Purdue’s Collaborative Robotics Lab, is principal investigator on the multi-year research with Karthik Ramani, the Donald W. Feddersen Professor of Mechanical Engineering; Bedrich Benes, a professor of computer graphics technology; and six other faculty members. A “smart product printer” carries with it dual questions: Creating the printer itself and figuring out what new materials can be invented. 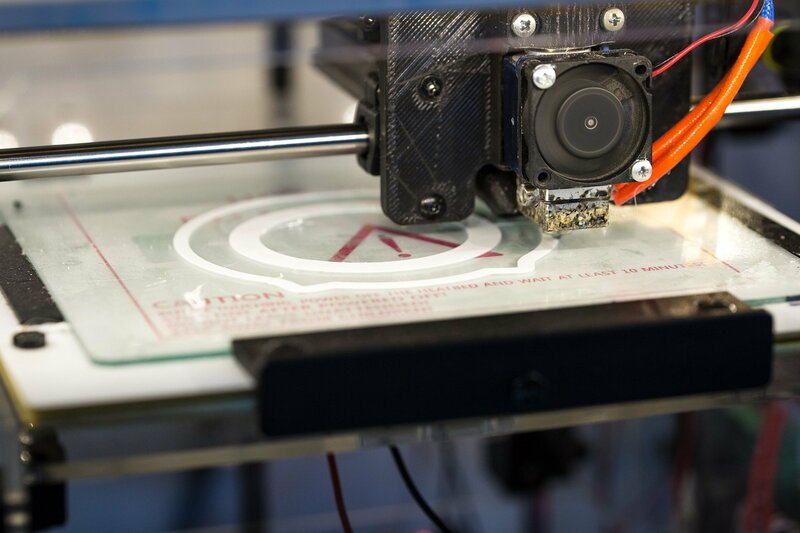 No 3-D printers exist on the market today that combine the printing of a structure with the printing of electronics, sensing and other functions. “If we start with soft materials, polymers, that are at least flexible, maybe we’ll get closer to the bigger question of not only can liquids think, as in the Terminator movie, but where will that take us if we create these new materials with “thinking” distributed throughout them,” Voyles said. “These are the precursors we want to explore while we’re developing this next generation ‘form-plus-function’ printer,” Voyles said, adding the work could enable entirely new areas of discovery in the fields of smart materials and the basic polymer science of active materials, among others.